Jane is available for speaking, reading, and workshop engagements. E-mail link is below. 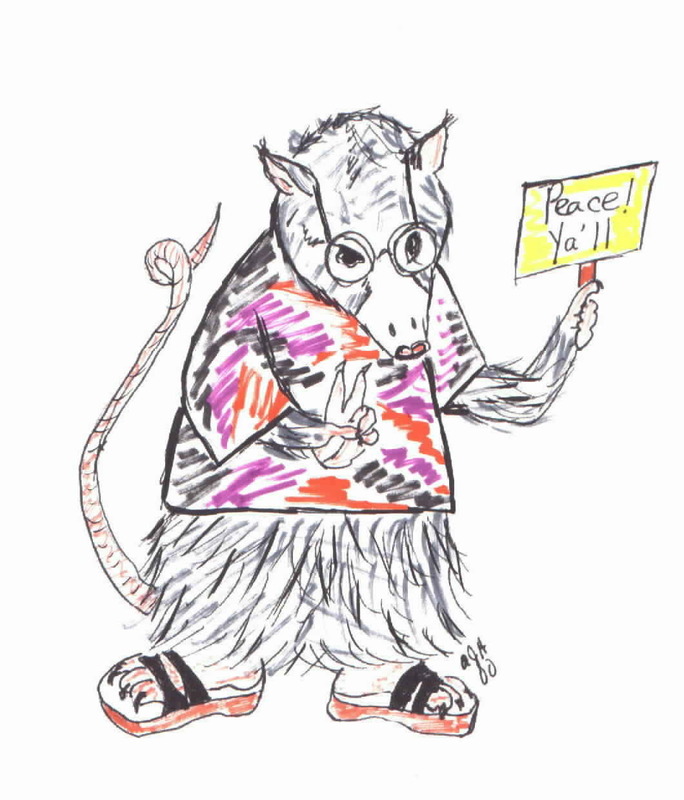 PEACE, LOVE, AND POSSUMS! Since Blue Ridge Country magazine featured Jane's literary quilts, she's heard from many, many Cosmic Possums. Drop her a line and let her know who you are! Check out the Knoxville Possums Rugby Club!! Jane will work with student groups and adults. CONTACT JANE: Please put the word "possum" in the heading so proper routing will occur. Please support us starving poets! Go to a poetry reading, buy a book of poetry, check out some poetry sites!